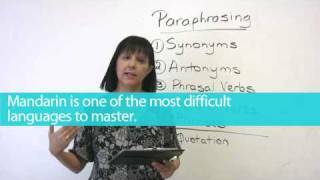 Explaining spelling rules that apply to verbs, nouns, adjectives and adverbs; including comparative and superlative forms. This animation teaches the learner to write a paragraph using a flow chart. 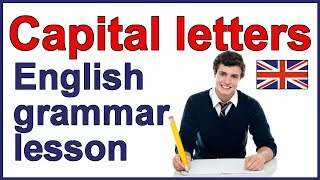 This animation teaches the learner the meaning and format of a personal letter, identifying the parts of a personal letter, how to write a personal letter and how to fill an envelope for a personal letter. This animation teaches the learner to write an autobiography of a person, animal or thing. 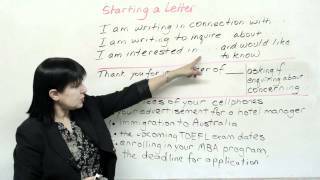 This animation teaches the learner the meaning and format of a formal letter, how to write a formal letter and how to fill an envelope for a formal letter. This animation teaches the learner to define punctuation, explain use of punctuation and state the uses of ellipsis. This animation teaches the learner to list the guidelines to write a precis, create a precis using the format - heading, outline and summary. This animation teaches the learner to define punctuation, colon, and semi-colon, and state the uses of the semi colon and colon. 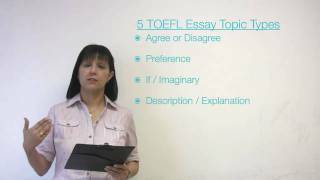 This animation teaches the learner to define paragraph and create a sample paragraph. This animation teaches the learner to define story writing and construct a story using the given outline. This animation teaches the learner to define punctuation, explain use of punctuation and state the uses of full stop. This animation teaches the learner to define punctuation, explain use of punctuation and state the uses of question mark. This animation teaches the learner to define punctuation, explain use of punctuation and state the uses of parentheses. This animation teaches the learner to define punctuation,explain use of punctuation and state the uses of comma. This animation teaches the learner to define punctuation, explain use of punctuation and state the uses of capital letters. This animation teaches the learner to define punctuation,explain use of punctuation and state the uses of exclamation mark. This animation teaches the learner to define punctuation,explain use of punctuation and state the uses of quotation marks. This animation teaches the learner to define punctuation,explain use of punctuation and state the uses of dash and hyphen. This animation teaches the learner to define note making, list the features of notes, create a note based on given hints. This animation teaches the learner to definition of a formal report, newspaper report, list the features of a report, newspaper report. It also teaches the learner to create a sample report and a sample newspaper report. This animation teaches the learner to identify a special name, write special names in sentences, differentiate special names from naming words and identify special names of places and write them in sentences. 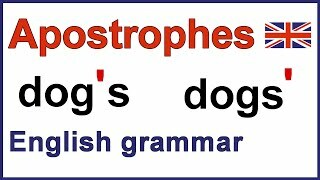 This animation teaches the learner to define an apostrophe, write sentences using apostrophes and write the possessive form of apostrophes. This animation teaches the learner to write a dialogue based on a given theme.